Now the service, which is provided by Bridgewater Community Healthcare NHS Foundation Trust, is launching a new “You’re not on your own” campaign to encourage more people affected by these conditions to come forward and access the service. 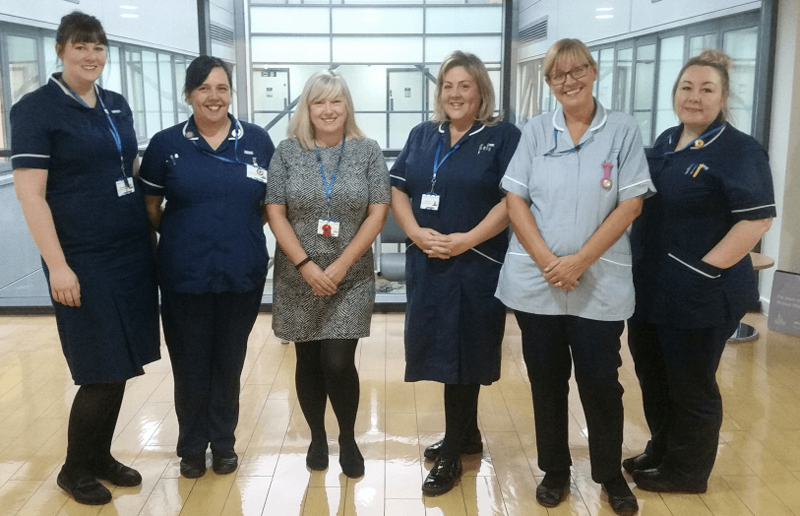 The service is provided by a team of specialist nurses who work with patients to promote continence as well as bladder and bowel health. They provide assessments and follow-up appointments in community venues such as clinics and health centres, but will also carry out home visits, where appropriate, including nursing and residential homes. The idea to promote this message came as a result of feedback from patients who said that they had benefitted greatly from the service but felt too little was known about it. All the ‘You’re not on your own’ campaign materials have been reviewed by service users through Bridgewater’s Patient Partners engagement programme. Continence Service Team Lead, Jenny Perkins said: “Please don’t feel embarrassed about continence or suffer in silence. We know these conditions affect a lot more than the number of people who use our service and there is a lot we can do to manage the symptoms. Jenny and the team are also keen to help people understand the range of support they can provide, including simple lifestyle changes that can have a significant impact and they have recorded a short video containing a range of information and advice for Halton residents. Anyone registered with a Halton borough GP can access the service. Referrals can be through your GP but patients, their families or carers can also refer directly into the service. The NHS estimates that between three and six million people in the UK have problems with bladder incontinence*. Many people do not realise that bladder and bowel continence can be an issue for both men and women and can be present at any age or stage of life. The Halton Bladder and Bowel service is open Monday to Friday from 9am to 5pm. Call the team on 01744 624930. Find out more about the service at www.tiny.cc/haltonbb.